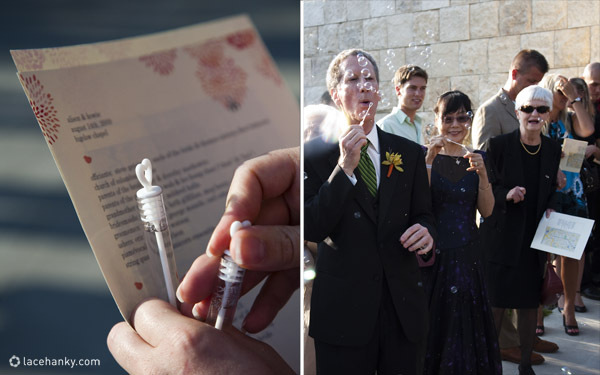 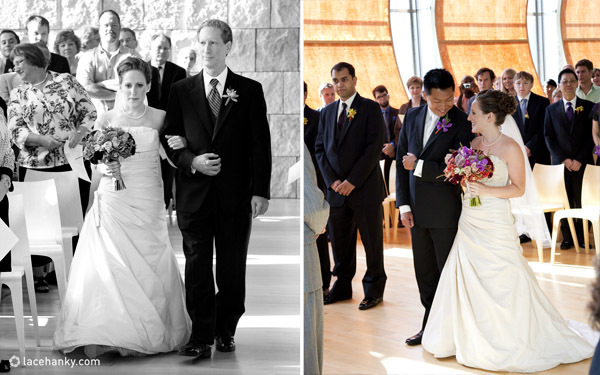 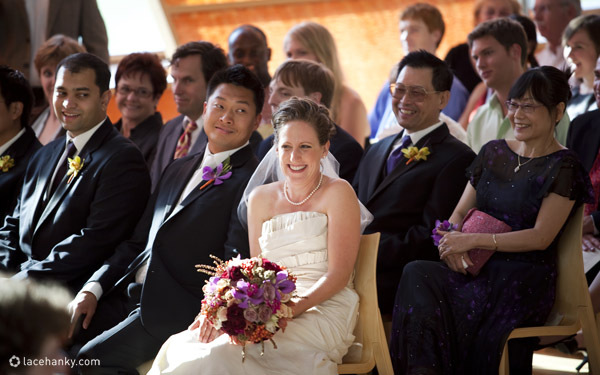 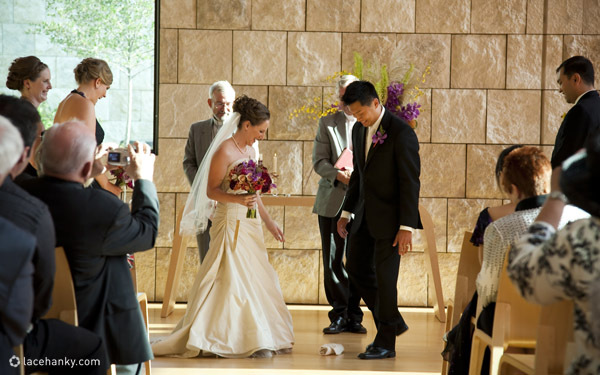 Alison and Howie's wedding ceremony was not only about bringing them together, but it was also about uniting traditions. 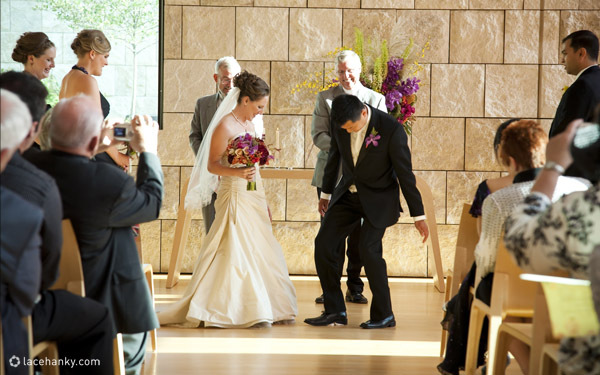 Buddhist proverbs were delivered by her uncle who is a catholic priest, and the marriage was sealed with Howie stomping on glass, yelling “Mazel Tov” which sending the crowd into joyful laughter. 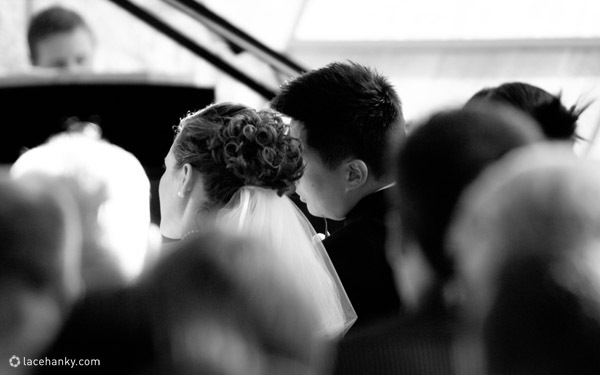 But the real highlight of the day was watching the way these two looked at each other.